Located in the historic diesel plant building in downtown Vero Beach, American Icon is the flagship of the burgeoning Vero Beach Arts Village. At American Icon, the mission is to create balanced, approachable and handcrafted​​ beers with the restaurant and service levels sharing the same commitment to quality. For locals and visitors alike – with American Icon’s centerpiece location and gorgeous building, American Icon is a favorite spot for families and friends to gather, listen to live music and enjoy incredible beer and delicious food. Hop Life Brewing Company was established in 2011 by two firefighters, Jim Kelly and Rob Tearle. Starting as home brewers, the duo’s dreams have developed into a full fledge microbrewery. Beers range from traditional style lagers and ales to unique hand-crafted beer designed to please a wide variety of tastes. Fort Pierce is home to gorgeous beaches, bountiful fishing, and great people. Also known as the Sunrise City, Fort Pierce embodies an Island State of Mind. It is here where the second location and production facility of Islamorada Beer Company has landed. You can visit a 25,000 square foot brewery and catch a glimpse on how the beer is kegged, bottled or canned. Take a break and enjoy one of our freshly tapped beers in our tasting room. Whether you are taking I-95, Turnpike, or State Road 70 our centrally located second home will make sure you feel like you are in an Island State of Mind. Mash Monkey is the newest addition to the Treasure Coast Wine and Ale Trail. Brewers Derek Gerry and Pat Kirchner met in the Boil Over Boys of Sebastian, a local homebrew club dedicated to helping local homebrewers create better beer and contributing to local charities. After several years, Pat and Derek started to brew collaboratively, coming up with many true to style renditions of classic beers and added some very off the wall practices to their brewing as well. One brew day, they began jokingly throwing around ideas of opening their own brewery. The joking turned to serious planning and within a year and half of the conception of their idea, Mash Monkeys Brewing Company was born. Food: There is an Italian restaurant next door where you can order food to consume on premise. 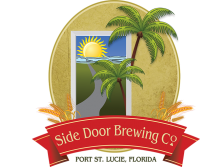 Orchid Island Brewery is a small family owned & operated company based out of Vero Beach, FL. OIB has gained a reputation for incorporating local Indian River citrus into IPA’s and sour beers. Mixing a global view and local knowledge, the brewery has allowed us to follow a focus since our first beer was brewed in 2008. Along the way came the home brew shops, the beer competitions, the friends and the bottle share parties, the good and the bad, the collaboration trips, and the stokedness. OIB is beer and always will be. 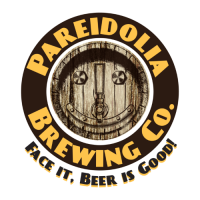 Pareidolia is Sebastian’s first craft brewpub specializing in small-batch handcrafted ales offering the largest selection of unique craft beers in town which can be enjoyed in our Beer Garden overlooking the beautiful Indian River Lagoon. Pareidolia is kid and dog-friendly and also offers a menu of delicious sandwiches, gourmet dogs, and specialty appetizers. Face it, beer is good! Food: Food vendors on Thursday, Friday, and Saturday. This award-winning brewery combines creativity with science to produce a large selection of unique and delicious craft beer. You will always find a wide variety of traditional options on tap – from pale ales that dance on the buds to mouthwatering creamy stouts. In addition to creating great beer, we continually strive to develop a culture that unites our community. Our Florida roots are important to us, which is one of the reasons that the name “Walking Tree Brewery” resonated so well. Mangrove trees live with one foot on land and one in the sea, constantly expanding their boundaries. Through our pursuit to produce unforgettable beer, like the mangrove tree, we will never forsake our home, our community, or our roots. 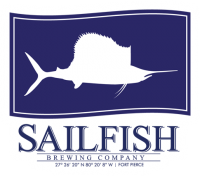 2018 Best Florida Beer Championship Winner! Gold for Babycakes Oatmeal Stout, silver for Barnacled Manatee Barleywine and bronze for Straw Hat Blonde Ale. Food: Food trucks on weekends!